The tape adheres to paper, ribbon, photos and more. The permanent adhesive bonds instantly. 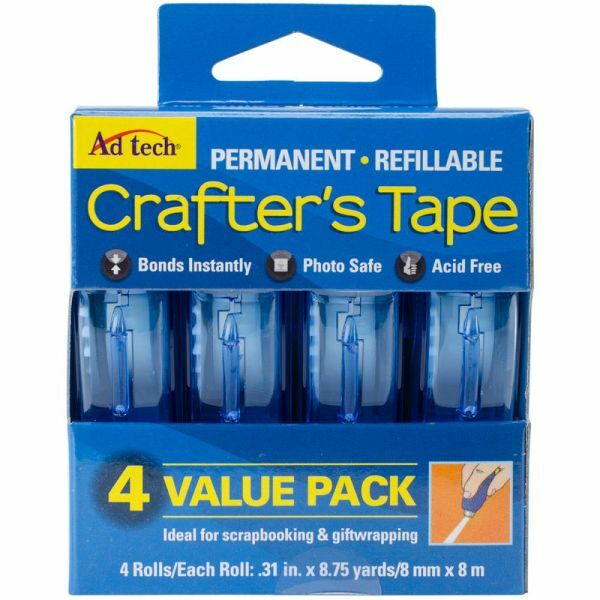 Ad Tech Crafter's Tape Dispensers - AD-TECH-Permanent Glue Runner. Ideal for scrapbooking and giftwrapping, this glue is photo-safe, acid free and bonds instantly. 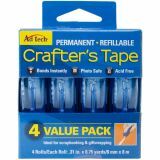 This package contains four refillable applicators and rolls: 8-3/4 yards of 1/3 inch each adhesive glue. Imported.